I haven’t had much time to “consume” many things, just because I’ve been all over the place, but I thought I’d make a quick update anyway. Knowing me, it will probably not be as short as I think it will be. I have been reading Kelly Link’s Magic for Beginners, a short story collection that I started before leaving for Korea. I usually read quickly on vacation, but I ended up not reading at all on this trip. When I got home, I came back to this book and snuggled in with it, and it’s great so far. And because perhaps it may motivate me to read faster, I thought I’d share with you some of the books I plan to read after I’m done with Magic for Beginners. I think I would like to (finally) take on Doug Dorst’s and J.J. Abrams’ S, which I was so anxious to get nownownow, or if I’m still in a short story mood, I’ll try to get around to reading B.J. Novak’s One More Thing. Maybe I’ll give Pride & Prejudice one more try. MAYBE. I haven’t been watching any new films, but I did recently watch Howl’s Moving Castle and My Neighbor Totoro to prepare for the Studio Ghibli exhibit in Seoul, which we didn’t end up going to due to time constraints and the literal plethora of FUN THINGS you can do there. SEOUL IS AMAZING. Anyway, I’d like to read Howl’s Moving Castle, but I’ll have to look for a copy first. Other than that, I went to see Mockingjay Part I because I still love Peeta deep, deep, deep down. It was not great. 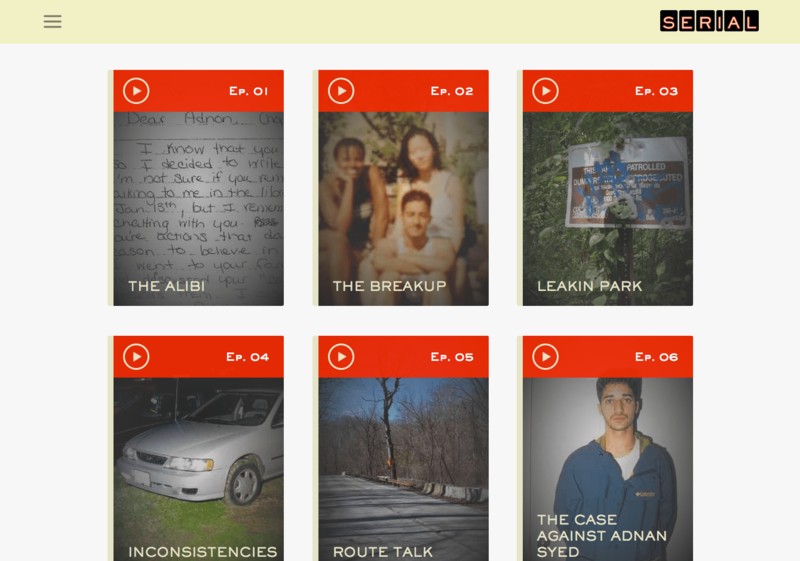 Season One explores a murky murder case involving a girl, Hae Min Lee, and her ex-boyfriend, Adnan Syed, the convicted killer. Many things don’t quite add up, so each episode (new ones out on Thursday!) reveals new layers and dimensions adding up to, hopefully, a solution to the unsatisfying conclusion thus far. The season’s up to episode 8 right now, but there’s plenty of time to catch up because you will devour every single episode and kind of wish you discovered it a little later so you can binge listen to more episodes. I don’t have any new shows on my radar other than the stupidly hilarious and intensely endearing Jane the Virgin, though I’m thinking of looking into the now-canceled Selfie. Thoughts on this? Is it worth getting into if I hated Amy Pond with a passion? I’ve also been (still) watching America’s Next Top Model because I never grew up, apparently. Also, Doctor Who: Peter Capaldi’s first season as the Doctor just wrapped up. I have many thoughts, but not as much feelings as I thought I would have. One thing, though, I love him. I think he might be my favorite after Christopher Eccleston’s Nine. Quick thoughts: Downton Abbey is so slow. I feel conflicted about The Mindy Project, oscillating between “LOL!! !” and “This is insufferable!” This season’s guiltiest pleasure is probably Faking It, which is so bad, you guys. So bad. 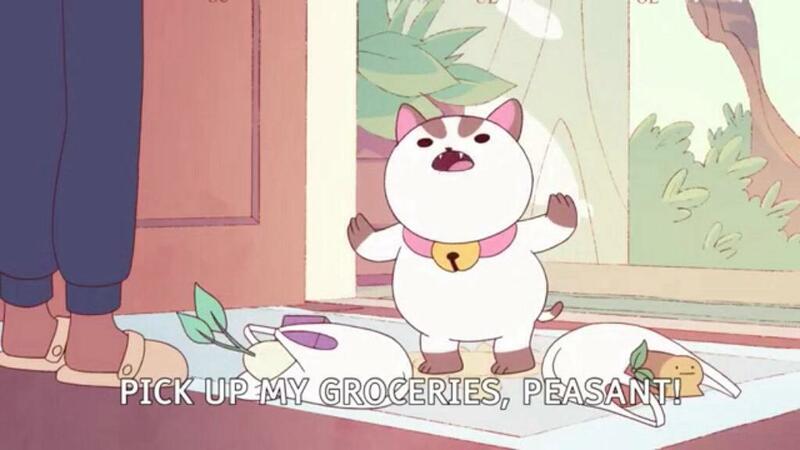 BEE AND PUPPYCAT IS BACK ON! I know the rest of the episodes may take a while, but I am basking in these super funny ones. My sister and I have been waiting for this for so long. I don’t know what happened but all I want to eat these days is a large order of the original chicken wings from Kyo Chon. I’ll try to get the exhibit stuff ASAP, but the first show I saw after getting back home were three solo shows that were on the same day. The shows were at Blanc and were by Allan Balisi, Charles Buenconsejo, and my older brother, Luis. I blogged about them here, in case you missed it. Speaking of which, I kind of want to get a new camera for on-the-go. Good idea, bad idea? I’m so in love with the Sony RX100! Tell me what you have been consuming! Any recs welcome, but feel free to talk about stuff you didn’t really enjoy either. … I knew this would be novel-length. Le sigh.